Pour flour into a large, shallow bowl. Add salt, onion powder, garlic powder and pepper. 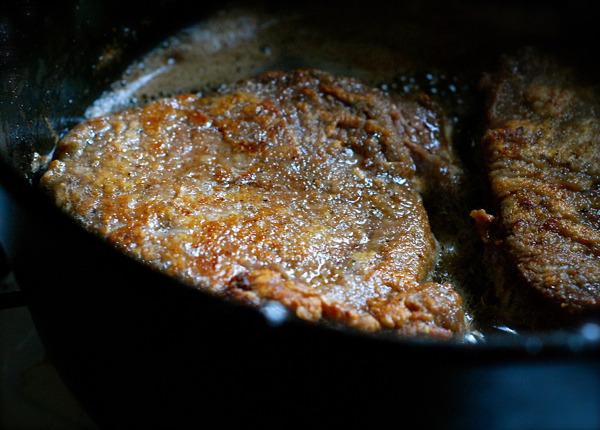 Press steak into flour mixture, turning several times so all sides are coated well. 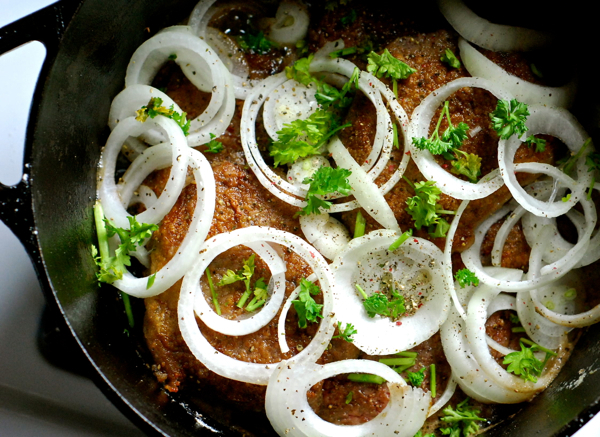 Once meat is browned, add the sliced onions. 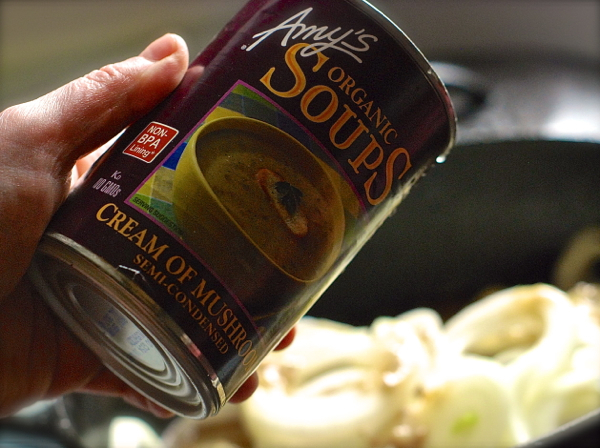 Add the mushroom soup plus 1 soup can of water. Sprinkle parsley and a little extra pepper over top of everything. Cover Dutch oven and place it in preheated oven. Cook at 350 degrees F. for 2 hours or until very tender and bubbling. Serve with mashed potatoes or yams and with some of the gravy from the pot spooned over the top. A crisp, tossed salad makes a great accompaniment. This was great! I used about 1/2 cup of white wine in place of the water. I also quickly zapped the gravy with my hand blender. 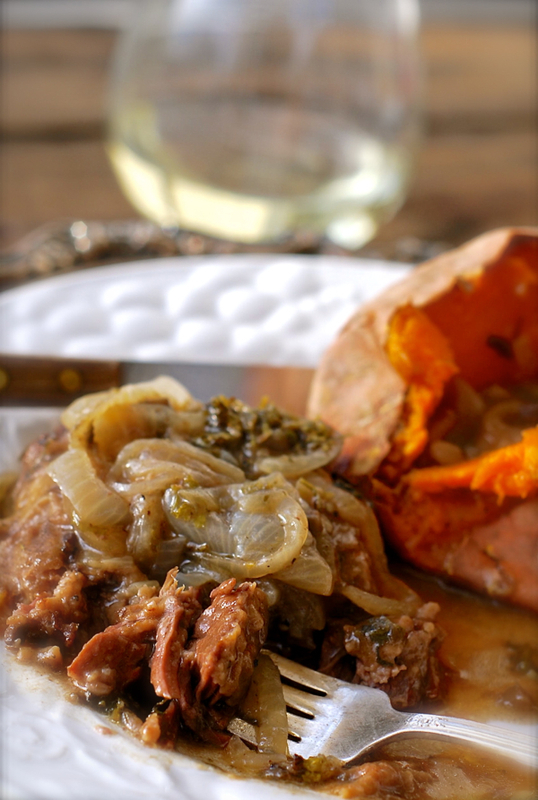 It makes quite a bit of delicious gravy, so I would rec sides like mashed potatoes or bread to make the most of that! LOVE easy and interesting meals like these! Our family looks for simple dinners all the time — with a LOT of protein of course — and this dish makes an excellent choice. Thanks for sharing! It looks delicious; and your pictures look great. Yum I am making this now. Using chuck roast because I forgot recipe when buying meat, but every thing else is similar and I believe it will come out delicious! Thank you Chin Deep I love your recipes, they help me know how to cook tasty things! !